Located an hour south of Naples, Amalfi is undoubtedly one of the most enchanting cities on the Italian coastline. With cream-colored villas tumbling down to clear blue waters, this town is a paragon of Italian seaside splendor. See for yourself! 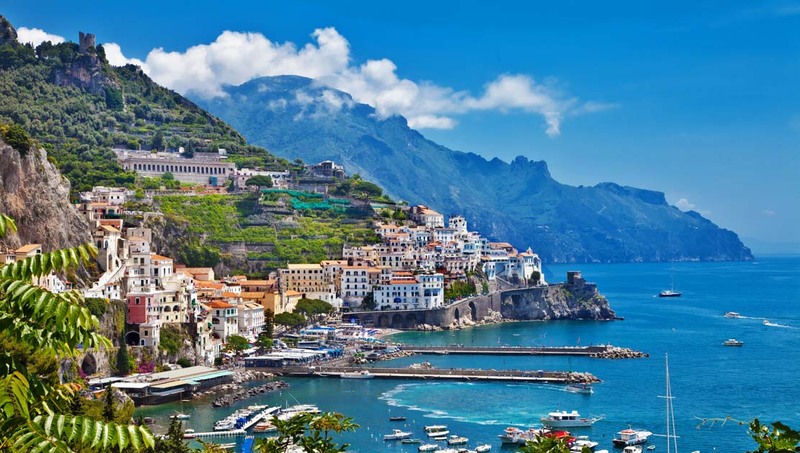 Though the entire European rim of the Mediterranean is gorgeous, the Amalfi Coast, with dramatic mountains and white sand beaches, is really something special. A central landmark in Amalfi, the Amalfi Cathedral dates all the way back to the 9th century and features a fascinating mix of architectural influences. 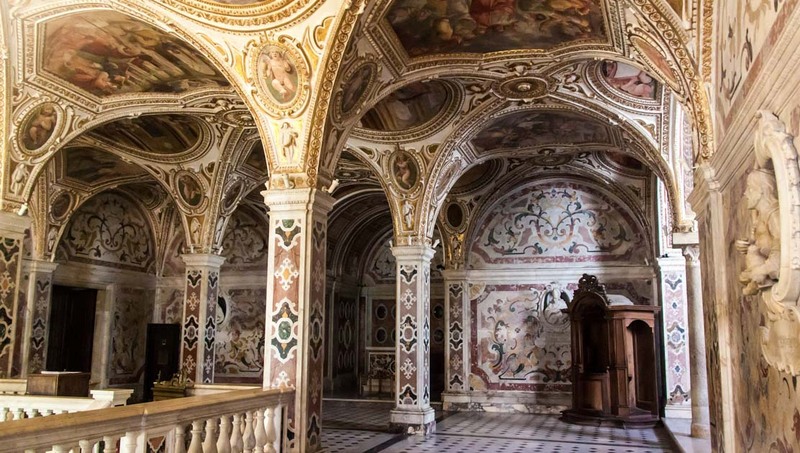 Located in a river gorge, this impressive Benedictine monastery contains an archive of ancient documents dating back to the 8th century. 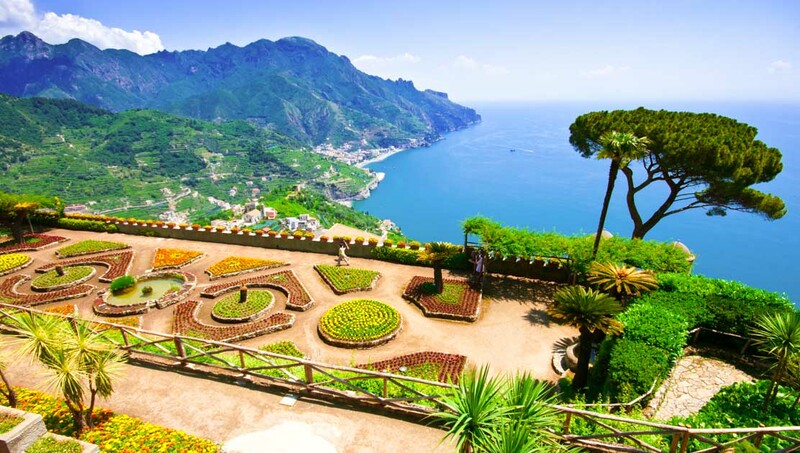 Prepare to be stunned by the Villa Cimbrone Gardens, which overlook a breathtaking landscape of jagged, forest-covered mountains and endless sparkling sea. The Duomo di Salerno, a cathedral built in 1048, is one of the most famous landmarks in Amalfi. The building is dedicated to Matthew the Apostle, whose tomb is found inside. 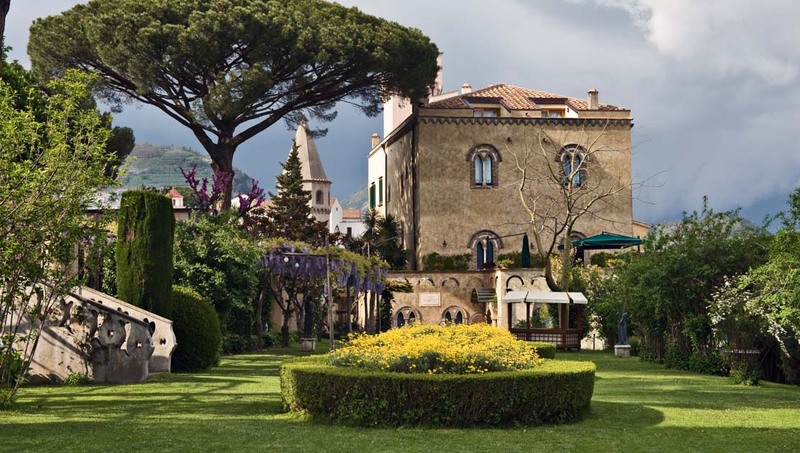 Villa Rufolo features impressive local architecture, but it's the gardens that make this place a must-visit. If you're lucky you can catch a Classical music concert on the terrace. Amalfi is a beautiful town full of lush foliage and romantic views best seen on foot. You'll be amazed at all you can discover when you walk this small city. If you need to get across town quickly, however, there are also local bus lines that are inexpensive. Taxis are readily available, as are rental cars. What to eat in Amalfi? For breakfast try a cornetto with a coffee. At lunch, find yourself a pizza covered in 'alici' (fresh anchovies) for a truly local taste experience. In the evening, enjoy a caprese salad drizzled with the most decadent olive oil on earth. The best time to visit Amalfi has to be the summer time. The sunny months of June to August are perfectly suited for luxurious days at the beach and balmy evening strolls. 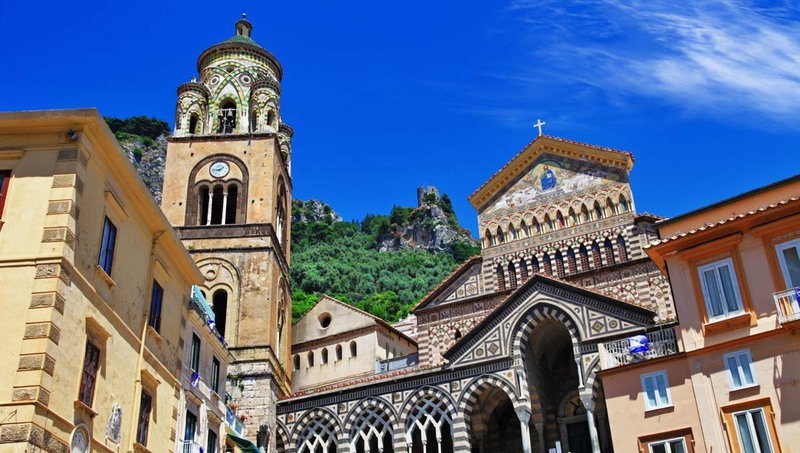 Want to discover all there is to do in Amalfi? Click here for a full list. We had a great time. It was a good trip. I thought our guide would have been our tour guide at Pompei but that wasn’t the case. Overall we were satisfied with our trip. We had a private tour. Just us. 5 of us went on a day trip including Pompei and the Amalfi Coast. Our driver Massimo, arranged a guide to take us around Pompei and we learnt masses from our guide. We then drove along the Amalfi coast stopping for coffee, lunch and ice-creams. It was a great day and Massimo was able to tell us a lot about the coastline as we drove. We have lots of great memories.